YEREVAN (Public Radio of Armenia) — President Serzh Sarkisian had a telephone conversation with the President of the Islamic Republic of Iran Hassan Rouhani on Sunday to discuss the future of the relations between both countries. 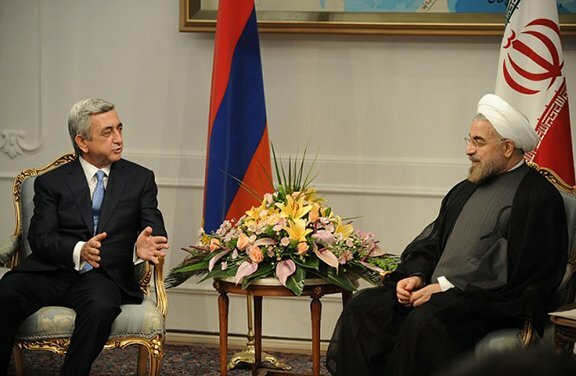 Sarkisian and Rouhani spoke about issues relevant to the Armenian-Iranian friendly relations and cooperation, as well as a number of pressing issues of the international and regional agenda. The presidents exchanged views on the possibilities of further developing the bilateral relations in the light of the implementation of the recent agreements reached on Iran’s nuclear program. They also mentioned the positive effect of all these developments which will strengthen regional security and stability. In this context, the parties concurred that any issue can be resolved through the negotiations as long as there is political will to do so. Rouhani also stressed his country’s readiness to work actively towards strengthening the good-neighborly, close partnership, and deep cooperation with Armenia. Both parties highlighted the importance of going on with the efficient and continuous cooperation aimed at the implementation of the agreements reached and realization of new initiatives. These initiatives will allow both sides to effectively use the existing potential of the relations. A schedule of the upcoming visits by each president was also discussed during the phone conversation. I know we all like to sit and play general and re-draw the map but I would really like to know the state of AZ/Iranian relations. 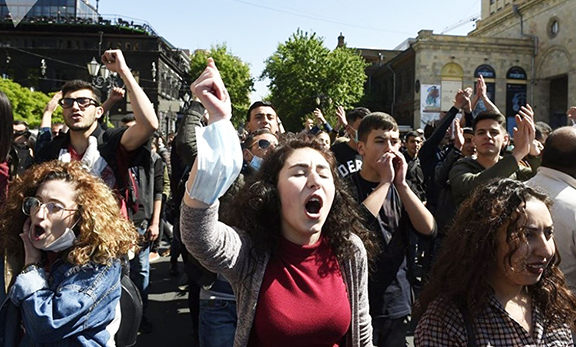 If if if AZ were to regain traditional lands from Iran would they be content to give up on Artsakh?